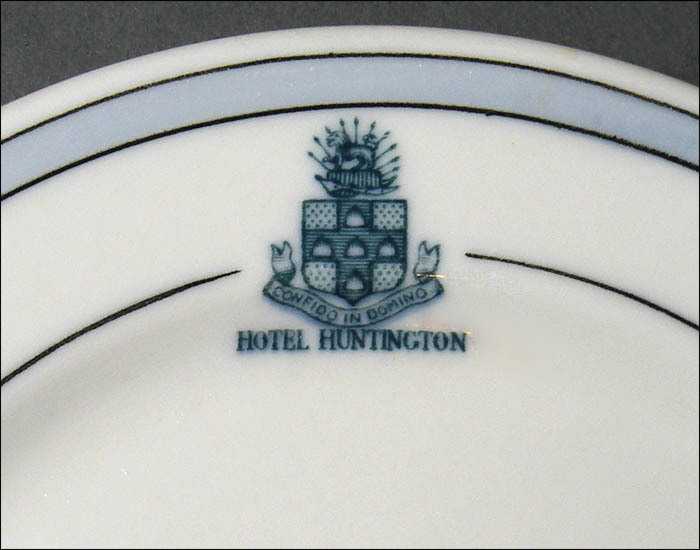 What a lovely little plate from the Hotel Huntington that was located in St. Petersburg, Fla. It was built in the very early 20th century and never became a particularly large resort hotel. 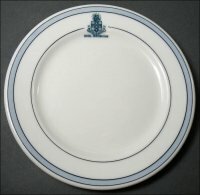 In 1922, for example, there were just 125 rooms. 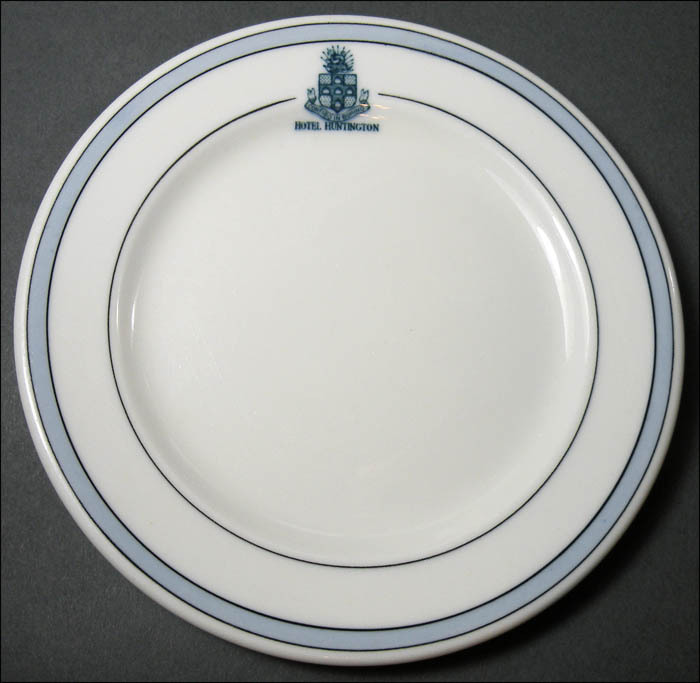 The plate is just 5 ½” in diameter and is in excellent condition. It has medium use marks but is very shiny – though it does have a slightly metallic or pearlized sheen when seen from some angles. 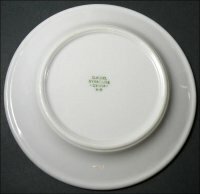 It was made in 1930.